Close to Jawaharlal Nehru metro station and at the intersection of the Lodhi Road and Lal Bahadur Shastri Marg, Gol Gumbad stands as an ordinary structure that you generally would not care to notice while driving past it. It’s yellowed, blackened and there’s nothing fanciful about the architecture. The shape is typical of fifteenth century tombs that have been constructed. In 2010, before the Commonwealth Games began, Gol Gumbad got an extreme makeover by virtue of its proximity to the sprawling Jawaharlal Nehru stadium. 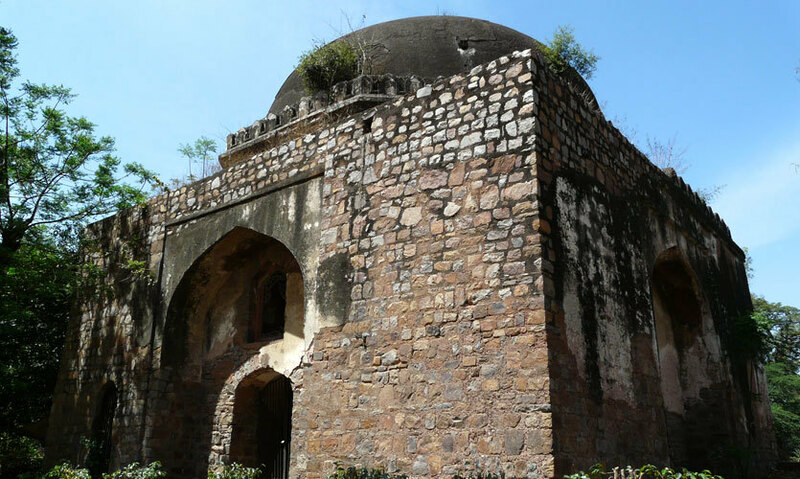 Gol Gumbad, which lay upset, neglected, and shunned for hundreds and hundreds of years, was noticed by the Indian National Trust for Art and Cultural Heritage, a non-profit organization which aims to protect India’s national and cultural heritage. The result was a total revamp - lights were installed all over the gumbad, and that completely changed the face of the gumbad. 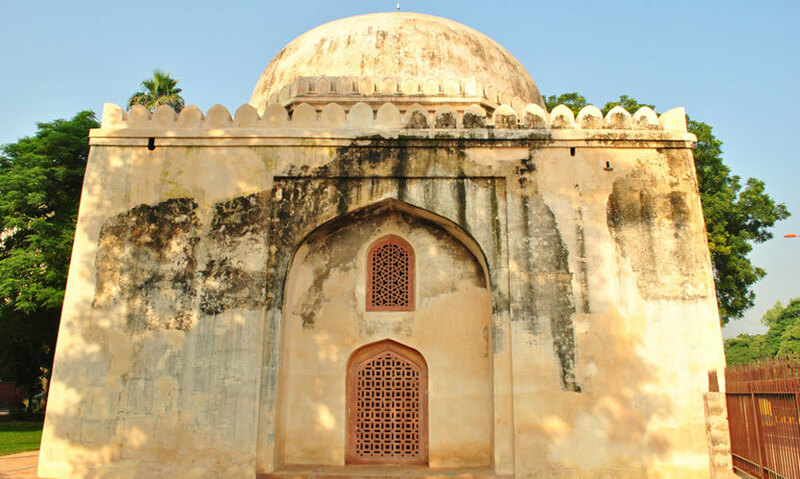 Along the wide tree-lined roads, interrupted by little blobs of street lights, Gol Gumbad appears to be a little globe of white sunlight, glowing in the darkness. While the outsides shine white, the insides have a deep orange and mustard ambience. These lights bring out the patterns and designs of the architecture beautifully, creating iridescent, vivid images. The gumbad contains only one chamber, and one wonders what purposes it fulfils, what functions it was built for. On the ceiling are delicately carved patterns, casting beautiful silhouettes all around. Gol Gumbad was there when India won its freedom, and it was there when India fought its first battle of independence. Gol Gumbad was there when the British invaded, when the Mughals invaded, and when for the first time, India was discovered when Vasco de Gama set foot on the Indian subcontinent. 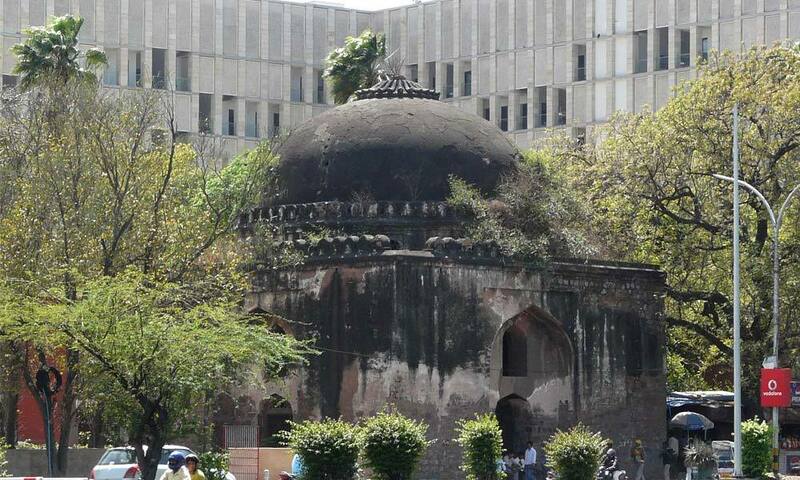 Ever since the Lodhi dynasty, which preceded the Mughal dynasty, the Gol Gumbad has been there, weathering the battles, the destruction and reconstruction of the city, and the consequent modernism that spread all around. It has seen it all, and it knows everything. It’s standing there, quietly, and it knows. And if only walls could speak, history would have been different!